Festa Junina continues with the celebration of São João (Saint John the Baptist) on June 24 all the way until June 29 with the celebration of São Pedro (Saint Peter). It is a state holiday throughout Bahia and, typically, baianos travel to the rural small towns for festivities as it is a celebration of the countryside with forró (country style music), quadrilha dancing (similar to square dancing), and bonfires lit for the summer solstice (“winter” in Brazil). 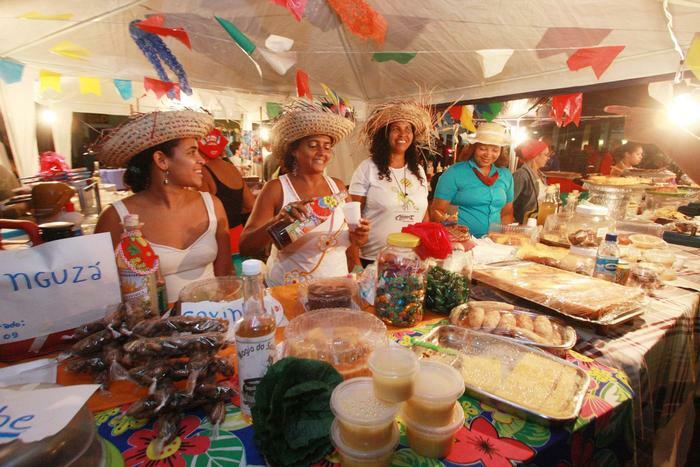 The most popular celebrations are in the Recôncavo cities of Cachoeira, Santo Amaro, and Santo Antonio de Jesus. Orixá Xangô, the deity of fire and thunder, is syncretized with Saints John and Peter and is celebrated with the jumping of the bonfires and venerated for peace and justice.